DETROIT -- Automakers with ambitious plans to roll out more than a hundred new battery-powered models in the next five years appear to be forgetting one little thing: Drivers aren’t yet buzzed about the new technology. Electric cars -- which today comprise only 1 per cent of auto sales worldwide, and even less in the United States -- will account for just 2.4 per cent of U.S. demand and less than 10 per cent globally by 2025, according to researcher LMC Automotive. The number is even smaller in Canada, where electric vehicle sales accounted for less than one per cent of total sales through October 2017, according to the most recent data from Fleetcarma, which tracks EV sales in Canada. But while consumer appetite slogs along, carmakers are still planning a tidal wave of battery-powered models that may find interested buyers few and far between. With battery costs declining rapidly, automakers are rushing to get in the game with their own all-electric models. General Motors has announced plans to roll out 20 models by 2023, while Ford and Volkswagen AG are among those planning new electric lineups in China. Toyota Motor Corp. this week promised more than 10 electric models by early next decade. In total, 127 battery-electric models will be introduced worldwide in the next five years, Thai-Tang said, with LMC predicting pure electric offerings will increase by more than five-fold to 75 models in the United States alone. It’s a mix of panic and promise that’s driving automakers to set ambitious goals to catch up to perceived market leaders like Tesla Inc. and GM, which each are enjoying a run-up in their stock prices this year. GM CEO Mary Barra said her company will sell more than 1 million electric vehicles per year -- profitably -- by 2026. Tesla CEO Elon Musk had been planning to build half a million electric cars in 2018, although that timeline could be jeopardized by missed production targets for the $35,000 Model 3 sedan. Wall Street continues to reward Tesla and values the Silicon Valley electric-car maker as worth more than Ford, even as the Detroit automaker dwarfs Musk’s company in nearly all metrics, from output to revenue. Tesla shares are up about 60 per cent this year, while Ford has gained closer to five per cent. There’s a growing optimism that the electric market is ready for liftoff, based in part on improvements in battery chemistry and costs and in part on the Field of Dreams adage: If you build it, they will come. Still, the rush to electrify in the face of uncertain demand has left auto suppliers on edge. They have to build factories and invest to develop components of battery-powered propulsion systems to support the automakers’ aggressive ambitions. Magna International Inc., for example, the largest auto supplier in North America, is having vigorous debates over whether to add capacity to tool up for electric cars when its executives don’t see much demand for them over the next eight years. 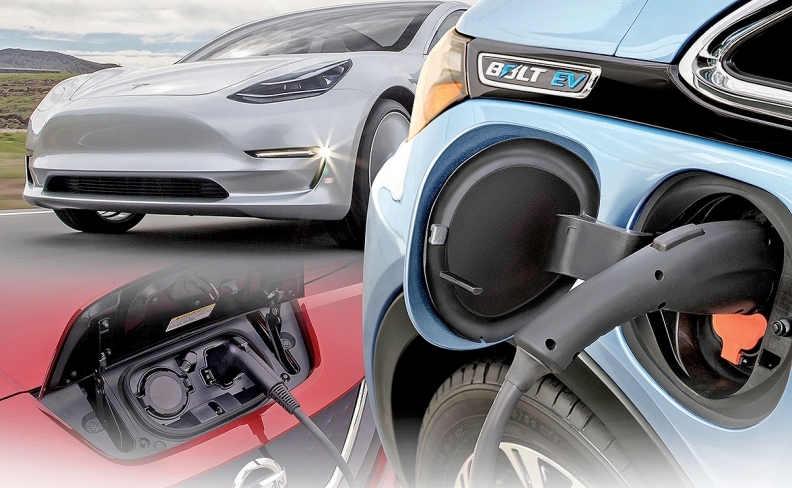 The company predicts EVs will only grow to between three per cent and six per cent of global auto sales by 2025, said Jim Tobin, chief marketing officer at the Canadian company. Industry executives convinced drivers will abruptly exit their internal combustion engine vehicles in favour of electrics may find themselves too overzealous, with LMC forecasting gasoline-powered engines will still make up about 85 per cent of U.S. new car sales in 2025. But that shift could accelerate as electrified vehicles reach price parity with gasoline-powered cars, which Bloomberg New Energy Finance predicts will happen by 2029 or sooner for most models. And no automaker wants to be left behind to sell the 21st Century version of the buggy whip: a car that runs on fossil fuel. “The question we’ve been asking ourselves is, ‘OK, if you’re going to launch in that clutter of 120 competitive products, what’s going to allow somebody to want to even consider your product?” Thai-Tang said, noting that the “provocative” design for the small electric SUV Ford’s planning may help differentiate it in a crowded field. “But not in a weird science-fair kind of provocative” way, he added.